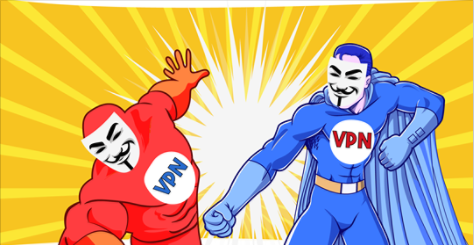 Cyberghost VPN vs PureVPN vs Cyberghost VPN vs PureVPN 2019 - 5 Tests, 1 Winner! Cyberghost and PureVPN are based in Romania and Hong Kong respectively. Both VPNs have very flexible pricing plans and accept bitcoin, but while Cyberghost offers a generous 45-day money-back guarantee, Pure VPN’s is just for 7 days. However, PureVPN redeems itself with its wide server network spread out in 140+ countries compared to Cyberghost’s coverage of 60 countries. Other great PureVPN security features include a kill switch and IP leak protection. Both VPNs support OpenVPN with 256-bit AES encryption. PureVPN allows 5 simultaneous connections while CyberGhost will give you 7. Both support various platforms, offer excellent support via live chat, and are great for accessing Netflix. Fast, easy to use, intuitive. A bargain. They accepted my payment method by direct debit, that was cool and easy. I took the 3-year package and it works to my fullest satisfaction. Flawless change of IPs, watching censored youtube vids and a bullet proof online banking were the first good applications. I will find out more about this marvellous program with the months and years of use. CyberGhost and PureVPN are both considered big names in the industry and both offer a lot of impressive features. However, when it comes down to it, CyberGhost gives you better security and privacy and has a more balanced quality-to-price ratio. You can get a great deal by using one of these coupons. Best VPNs for Torrents PureVPN makes torrenting a challenge, as torrenting is blocked on most of its servers. CyberGhost, on the other hand, fully supports torrenting and takes care of all the legalities. All you need to do is choose the torrenting option and it’ll take care of the rest, including connecting you to dedicated servers for torrenting. PureVPN makes torrenting a challenge, as torrenting is blocked on most of its servers. CyberGhost, on the other hand, fully supports torrenting and takes care of all the legalities. All you need to do is choose the torrenting option and it’ll take care of the rest, including connecting you to dedicated servers for torrenting. Best VPNs for Windows Both PureVPN and CyberGhost have easy-to-install and user-friendly Windows applications, which are fully equipped with all the features the offer. The PureVPN Windows app makes it easier for you to configure your settings and connect to a server if you have basic knowledge of how to use a VPN. CyberGhost’s application works with a profiles approach, where you can just tell it what you need and it’ll automatically configure itself. More tech-savvy users can also configure it manually. Both PureVPN and CyberGhost have easy-to-install and user-friendly Windows applications, which are fully equipped with all the features the offer. The PureVPN Windows app makes it easier for you to configure your settings and connect to a server if you have basic knowledge of how to use a VPN. CyberGhost’s application works with a profiles approach, where you can just tell it what you need and it’ll automatically configure itself. More tech-savvy users can also configure it manually. Best VPNs for Android The Android apps for CyberGhost and PureVPN both focus on protecting your privacy and security in public areas with wi-fi protection. That certainly didn’t come at the cost of any of their other features, such as PureVPN's split tunneling - but that can’t beat being able to customize servers through the CyberGhost Android app. The Android apps for CyberGhost and PureVPN both focus on protecting your privacy and security in public areas with wi-fi protection. That certainly didn’t come at the cost of any of their other features, such as PureVPN's split tunneling - but that can’t beat being able to customize servers through the CyberGhost Android app. Best VPNs for Mac In its Mac app, PureVPN went compact and fit as many features as possible in a sleek and easy-to-install app for all MacOS devices. These features include a kill switch, dedicated IP, and DNS leak protection. CyberGhost, on the other hand, went all in with its features and full online security power, which is something you rarely see in a Mac app. In its Mac app, PureVPN went compact and fit as many features as possible in a sleek and easy-to-install app for all MacOS devices. These features include a kill switch, dedicated IP, and DNS leak protection. CyberGhost, on the other hand, went all in with its features and full online security power, which is something you rarely see in a Mac app. Best VPNs for iOS As PureVPN was one of the first VPN providers to introduce an iOS app, it has had the experience and the time to perfect its app with all the necessary features. Even though CyberGhost might be newer in this field, it introduced a well-designed app with multiple impressive features and highly competitive security and privacy capabilities. As PureVPN was one of the first VPN providers to introduce an iOS app, it has had the experience and the time to perfect its app with all the necessary features. Even though CyberGhost might be newer in this field, it introduced a well-designed app with multiple impressive features and highly competitive security and privacy capabilities. Best VPNs for USA Both PureVPN and CyberGhost operate a large network of servers inside and outside of the US. PureVPN operates 490 servers in 13 locations within the US, while CyberGhost operates 532 servers in 13 locations in the US. The difference is not that big when it comes to numbers, but when it comes to accessing blocked content, CyberGhost guarantees easy access to blocked US content such as Netflix and Hulu, while PureVPN isn’t always able to make such a promise. Both PureVPN and CyberGhost operate a large network of servers inside and outside of the US. PureVPN operates 490 servers in 13 locations within the US, while CyberGhost operates 532 servers in 13 locations in the US. The difference is not that big when it comes to numbers, but when it comes to accessing blocked content, CyberGhost guarantees easy access to blocked US content such as Netflix and Hulu, while PureVPN isn’t always able to make such a promise. Taking security and value for money into consideration, CyberGhost is the clear winner. In addition to offering a fuss-free 45-day money-back guarantee, this VPN is one of the few that unblocks US Netflix and supports multiple devices at an incredibly affordable fee. With its military-grade encryption and strict no-logs policy, you can be sure CyberGhost is taking your security and privacy seriously. Fast, easy to use, intuitive. A bargain. They accepted my payment method by direct debit, that was cool and easy. I took the 3-year package and it works to my fullest satisfaction. Flawless change of IPs, watching censored youtube vids and a bullet proof online banking were the first good applications. I will find out more about this marvellous program with the months and years of use.